One-piece waistband with concealed button closure. 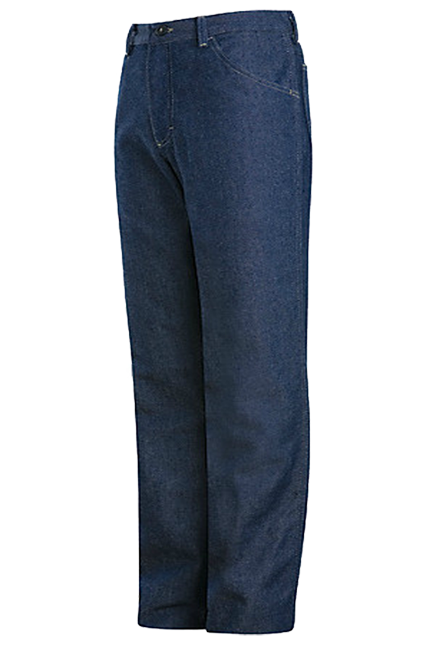 Five jean style pockets. Two deep scoop pockets. Two oversized reinforced hp pockets. Rule pocket on right leg with wrap-around utility pocket. Hammer loop on left leg. Utility loop on back under waistband. Triple-needle felled outseam. Soft pre-wash for comfort and look. Loose fit sits slightly below the natural waist and has a loose seat and thigh with wder leg opening.